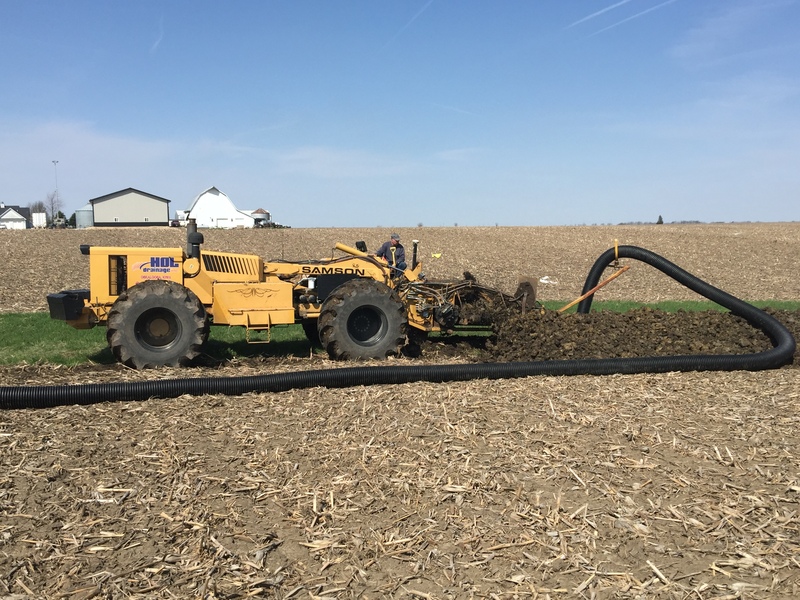 We have the equipment to do your farm drainage, tiling, excavation, or earth-moving job from start to finish―no waiting on third-party contractors! We take pride in our equipment and perform regular maintenance to ensure every project is executed with precision. 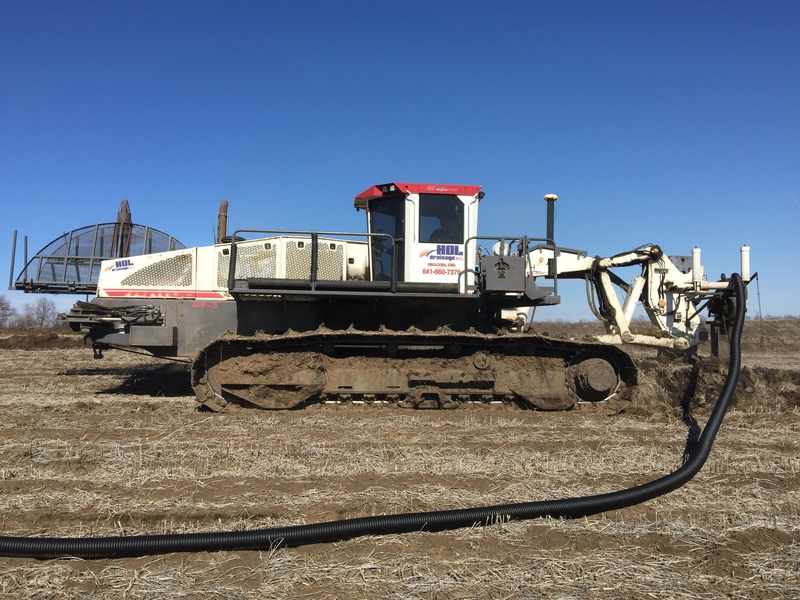 2 Bron Tile Plows – These machines are GPS controlled and are able to install up to 12 inch single-wall tile. Both are Canadian-certified. Samson Wheel Trencher – Installs single-wall tile up to 15 inch and dual-wall tile up to 24 inch. GPS controlled. 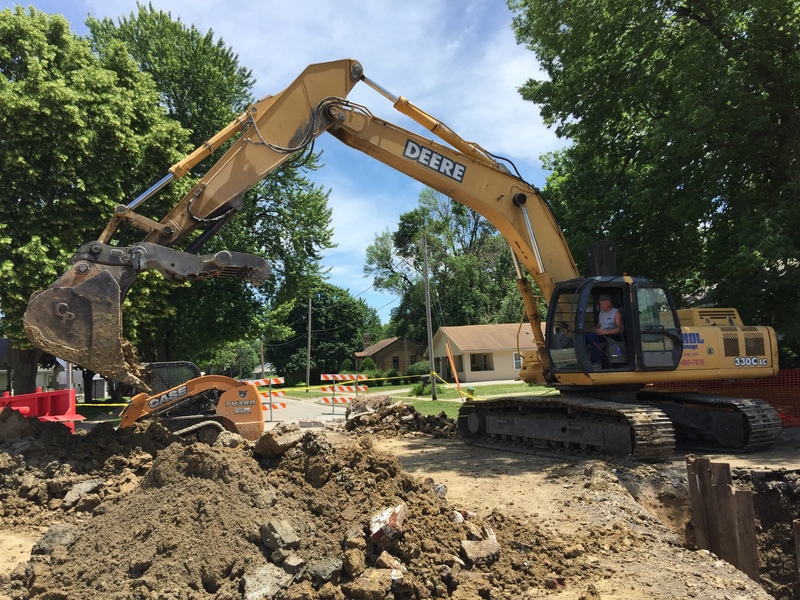 John Deere excavator – 40 Ton Excavator, capable of digging at depths of more than 26 feet. Equipped with “thumb”, which further adds to it’s capabilities in tree removal and demotion jobs. 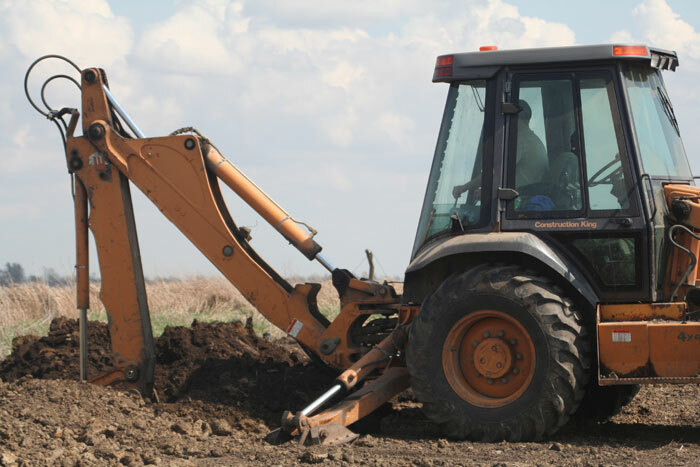 Case backhoes – Mobile & maneuverable. Just right for tackling a variety of customer projects.